Absolutely marvelous - a wonderful property and even better beaches nearby, very quiet and rather secluded location with its own beach just a 100 m away. Recommended for those who want to get away from crowds of people. Helpful staff. Having our 'own' bungalow in La Maddalena :) After collecting the keys, Mr. Francesco kindly guided us to the property and explained everything, providing us with all needed for a perfect stay. The house is lovely, spacious and extremely clean, and also equipped with housewares, bed linens and towels - (we've only prepared breakfast, but they have all in case choosing to prepare other meals too) - making our life much easier during our stay. The area is easy access and safe, where our pet could enjoy free and also by the beach in front.. a little paradise on the island! Friendly hosts, nice quiet location and good apartment. The location, especially the beach directly in front of the house. The extra washing basin was great. The barbecue area was great and an outdoor shower was available. What a great placec! 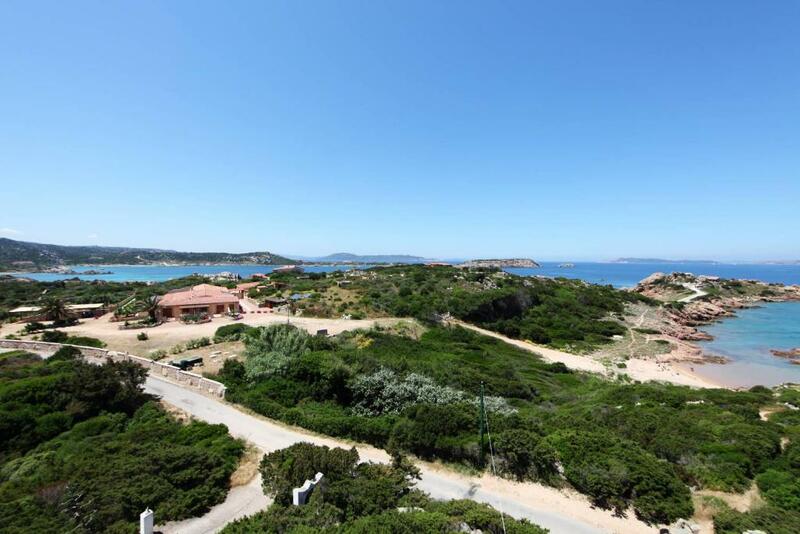 Quitet, private, own beach, a lot of space - just great! The little house where we stayed was very functional. It was very well thought of. 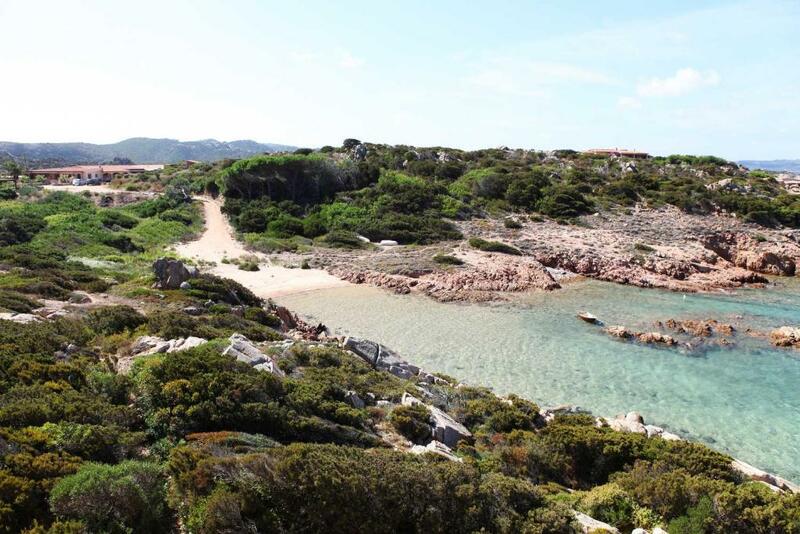 The property has a direct access to a secluded, almost private beautiful, small beach, less than 50m away. 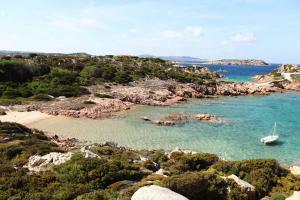 It is located in a very quiet part of La Maddalena and yet, since La Maddalena is so small, everything is close. 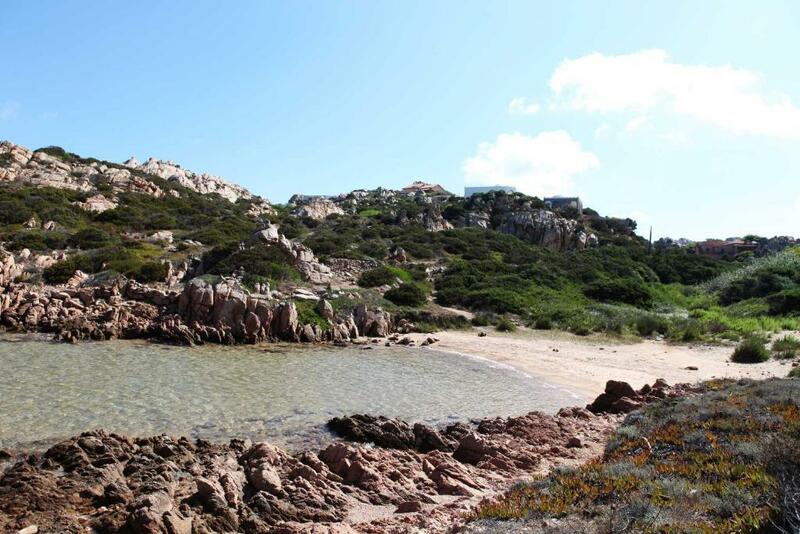 Peaceful location, charming hosts, lovely little beach just in front of the apartment. The beach is very cute and at a close walking distance from the installations. it is a very quite and green area. You can cook your own food, and even external barbecue. The rooms are simple but with all you need (fridge, cooking set, basics). The sunset in summer was amazing. Splendid location in the extreme north of the island. The beach, not really private, is small but fully enjoyable especially for families with children. Lock in a great price for Residenza Marginetto – rated 9.3 by recent guests! One of our best sellers in La Maddalena! 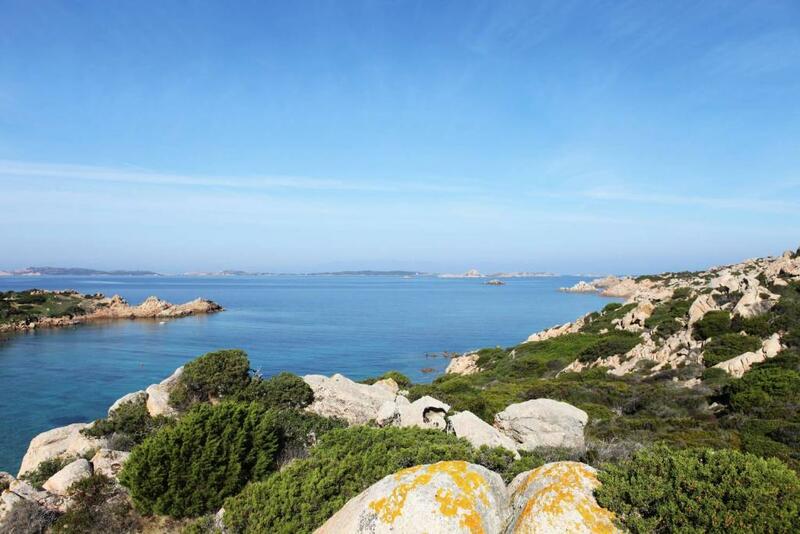 Set in La Maddalena, Residenza Marginetto has direct access to the beach in Marginetto, located 150 feet away. Free WiFi is provided throughout the property and free private parking is available on site. All air-conditioned units feature a large furnished patio and a kitchenette fitted with a refrigerator and stovetop. Each is equipped with a private bathroom with a shower. The property also comes with a 32'' LED flat-screen TV and a washing machine. Residenza Marginetto also includes barbecue facilities and a sun terrace with outdoor showers. 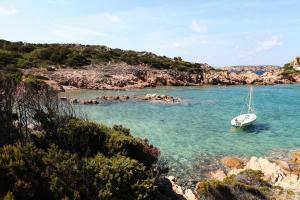 Olbia Costa Smeralda Airport is 25 mi from the property. When would you like to stay at Residenza Marginetto? With a barbecue and a patio, this holiday home features private entrance, kitchenette and flat-screen TV. With a barbecue and a patio, this house features private entrance, kitchenette and flat-screen TV. This holiday home features a kitchenware, dining area and patio. 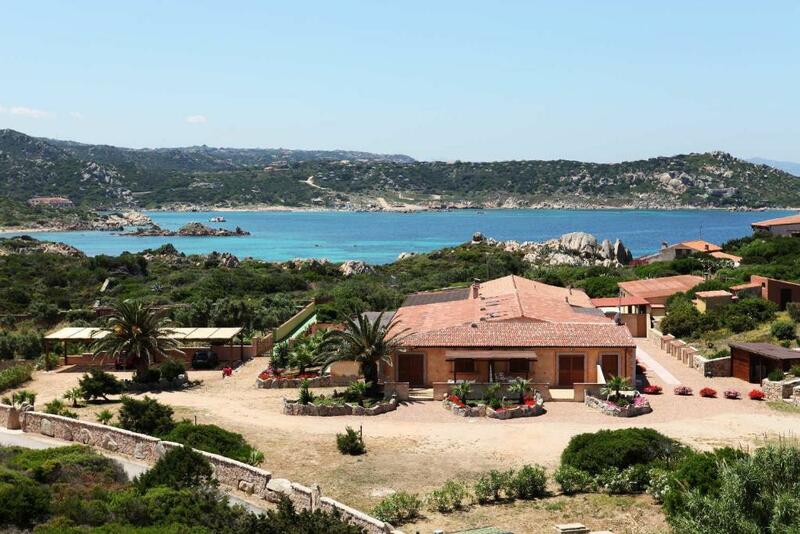 Residenza Marginetto, in the beautiful Island of La Maddalena, offers its guests courtesy and professionalism. The elegantly furnished homes, the private access to the adjacent beach and the friendliness of the staff will make your holidays unforgettable. The accommodation complex consists of 10 terraced houses with direct access to the lovely beach of Marginetto, characterized by golden sand and crystalline sea. Perfectly integrated into the surrounding environment, the complex was created in 2008 after a careful and meticulous renovation of an existing building. Located within a large private property, Residenza Marginetto has a garden that is meticulously maintained in order not to alter the nature of the area. The barbecue area and the wooden platform equipped with deckchairs provide a beatiful sea view, and there are external showers that may be used when returning from the beach. All of the terraced houses have a veranda, a living room with a kitchenette, a bedroom, air-conditioning, free Wi-Fi, a flat-screen TV and a bathroom with a shower. Guests also have access to private parking inside the property. 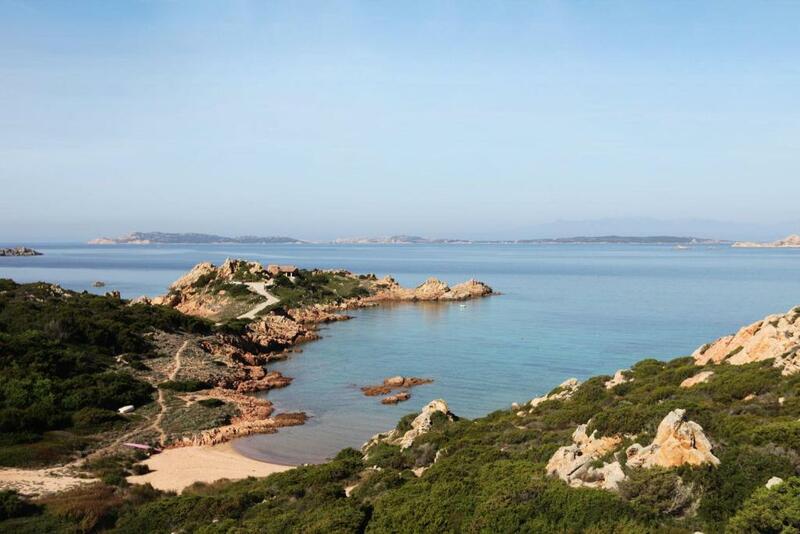 The area of Marginetto is located on the northern side of the Island of La Maddalena and stands out for its incomparable beauty and pristine environment, with a landscape rich in granite rock and mediterranean vegetation and with a breathtaking view that stretches over the smaller islands and Corsica. House Rules Residenza Marginetto takes special requests – add in the next step! Residenza Marginetto accepts these cards and reserves the right to temporarily hold an amount prior to arrival. Please note that check-in and key collection take place at: Via Indipendenza 42, La Maddalena 07024. Please inform Residenza Marginetto of your expected arrival time in advance. You can use the Special Requests box when booking, or contact the property directly using the contact details in your confirmation. The apartment is not really suitable for 4 adults. The sleeping coach is uncomfortable and too short and in the common kitchen/living room area where the way to the toilet goes through. Sofa bed where our children slept wasn't very comfortable. Picking the keys is not in the same place you stay (its along the way). Rooms (not really villas, check the satellite pictures and you'll see what I mean) are rather small and not suitable for two adults and two children. Most importantly, rooms are badly designed: sofa-bed of the lowest quality you can imagine, hospital-grade lights, no dishwasher and, most importantly a shower absolutely unacceptable at these price levels (circa 280 EUR/night). Outdoor veranda is also not perfect (only half is shaded) but that's mostly irrelevant since the place is infested with wasps, mosquitoes and similar: outdoor activities are not really possible. Maybe a better garden design (i.e. flowers and trees much further away from the rooms) could have helped, but I'm no expert. WiFi is rather weak indoors; it works just Ok outdoors, where a table and chairs allow to do some work for whom this is wished or needed. 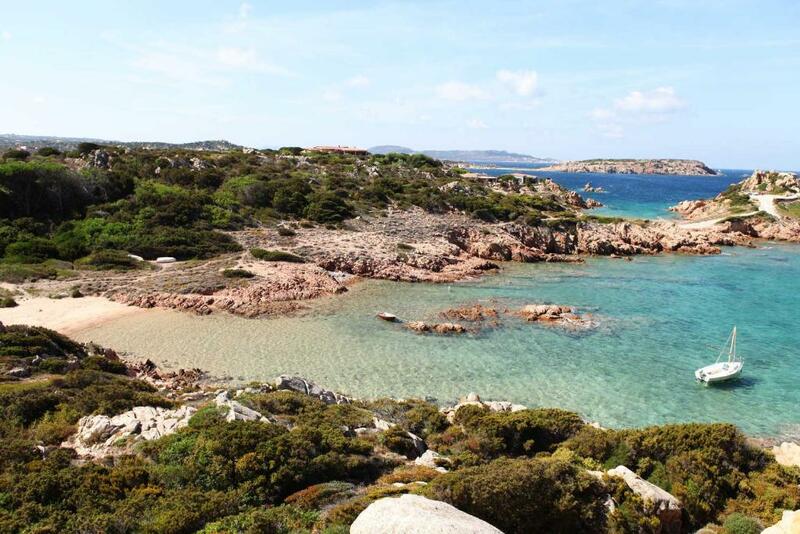 Close by a small, almost private, beach with shallow, crystalline and warm (end of July) water, ideal for families with kids or to those that like quietness. Nice view from barbecue and rest chairs (with umbrellas), ideal for an apperitive in the evening. Marco was very helpful and kind. Fantastic location, relaxing apartment with view of the sea really made our holiday special! The beach is two minutes walking and fantastic to swim early in the morning. Location ideal for families with kids and 10 minutes drive from Maddalena. Hosts very friendly and welcoming! Thanks to Marco for recommending fantastic restaurants and beaches around the island. We will definitely return! The bed was a little hard as many are in Italy. Also towels to use on the beach. When you travel overseas you rarely take beach towels. It would be great if these were provided. The location is excellent. Our unit looked over the beach and was sensational. It was self contained and a market to buy groceries was about 5min drive from the property. To have a beach right at your doorstep was fabulous. Even though it is not a private beach it is only really used by people staying in the property or the few other houses around. Once you have stocked the fridge you never have to leave.